There’s no better place for a summer party than at the pool. The guests keep busy, have fun, and don’t destroy your house! Just follow the guidelines described below to make it a stress free and enjoyable experience for all and complete the form. 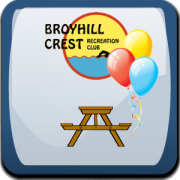 Note: Shareholders get one free Pavilion/facility rental per summer! If you are a shareholder, you may select the option to “Use my Annual Free Shareholder Reservation” on your first summer rental. Questions? 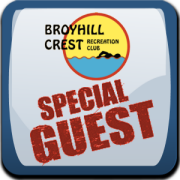 Email Deborah Burk at pavilion@broyhillcrestpool.org or call her at home: 703-642-1715 or on her mobile: 703-408-9063. Please enter the date of the event. If date is flexible, please include other dates of interest in the notes below. You can rent the Pavilion for up to 3 hours, you & your guests may move to another area of the pool and swim past the party time. Event pricing and deposit information is shown below including the discounted price for BCRC Members. The event deposit will be returned after confirmed clean up. For parties larger than 50 guests, at least one extra guard is required, at a cost of $35+/hour. We'll advise you if your party requires multiple extra guards or the current overtime rate, if it changes. Please enter the member's name this request is associated with. Your Cleanup Deposit will be returned after confirmed clean up. For parties larger than 50 guests, at least one extra guard is required, at a cost of $39+/hour. We'll advise you if your party requires multiple extra guards or the current overtime rate, if it changes. Please enter the number of non-member guests that will be attending, $5 each. Use your Shareholder Free Reservation? 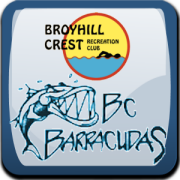 Are you a BCRC Shareholder? If so, you are entitled to one free pavilion rental ($50 value) each year and you can select to use that free reservation here. While your base reservation is free, you would still need to pay the refundable security deposit, any guest fees, and any applicable lifeguard fees for parties over 50 attendees. 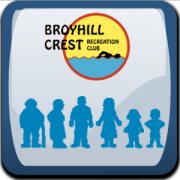 Please contact lemmartin@gmail.com if you are interested in becoming a BCRC shareholder. Is there a second host that you would like to include their contact information? Please go online to org to check the calendar to see if the date and time are available. Your deposit is due at time of booking to hold your date. Your deposit will be returned within 2 weeks following your party via PayPal following satisfactory completion of the checklist (see below). The cost of any damages, clean-up costs, and additional guest fees will be deducted from the deposit. Payment of expected guests is due at time of booking. Note that applicable charges for larger parties may apply. Time your parties during regular pool hours. After hour parties can be arranged, but may incur additional costs associated with paying guards overtime. For parties larger than 50 guests, at least one extra guard is required at the cost of $39+/hour. BCRC will advise you if your party requires multiple extra guards or if the current overtime rate changes. Parties will be held under the pavilion are limited to 3 hours. Host must provide a list of attendees so the guards can check them in at the front office as they arrive. Please list all possible guests. You will only be charged for those who actually come. Be sure your guests understand and follow all pool rules. In particular, non-swimmers must have an adult in the pool within an arm’s reach. All swimmers in your party are subject to swim testing by guards. Babies must be in swim diapers and proper diaper covers. BCRC reserves the right to remove any party guest for failure to abide by pool rules. The host is responsible for abiding by Fairfax County noise regulations. Click here for Fairfax County Noise Ordinance. Be sure to clean up after the party. See the Check Out List below. 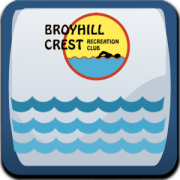 If the pool must close during the first hour of the party, all fees will be returned. After one hour, fees may be pro-rated. Cancellation Policy: Parties cancelled at least 3 days prior to the party will receive a refund of the deposit. Parties cancelled within 3 days of the party will forfeit the deposit. Trash around party area has been cleaned up and put into dumpster. Recyclables have been put in proper bin or bagged separately. Furniture that was used is undamaged and has been cleaned. Furniture that was moved has been put back where it came from. All clothing, towels, and personal belongings have been removed. Party decorations have been removed. Any gates that were unlocked have been locked. Grills have been turned off and put back where they came from. Decorations/balloons displayed anywhere in the neighborhood are taken down.